39% of new private home purchasers in 2Q 2011 have HDB addresses, up from 35% and 37% respectively from the previous two quarters. This is according to data from DTZ and reported in the Channel 5 news tonight. 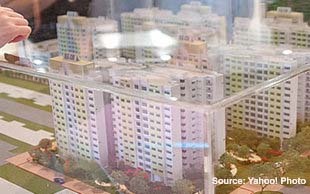 No Comment to " News flash: More HDB upgraders turning to private properties "